Do you need a job or a better job today? If so, today’s prayer is for you to find a new job that is perfectly suited to you–a blessing to you in every way! If you prefer to pray along with written prayers, I also have a different prayer in written format over here on our From His Presence (R) blog. 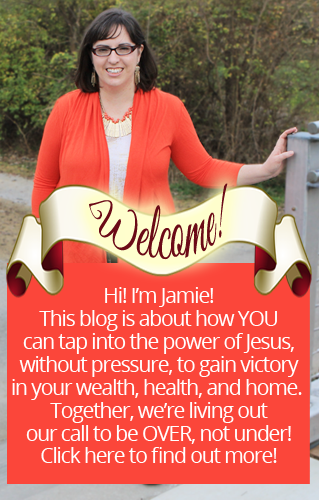 Click here to read and pray that prayer to find a new job. Okay, here we go! If you need a new job, pray along with me and agree for yourself! Does this prayer build your faith today? If so, leave a comment below and tell me what you’re believing God to do! Does money feel like a painful, hard thing to you? If so, today’s prayer is for you. We are praying today to think like God thinks about money! Money should be an easy thing. I mean, I’m blessed. Very blessed. I’m grateful for all those blessings. But you know what? I’m not as blessed as the Word of God says I should be. God’s Word says that He’ll pour out so many blessings that His provision overflows our need (Malachi 3). He says that kings and queens are coming to us right now, bringing their gold and silver with them (Isaiah 60). He says we’ll lend to many nations, but never borrow (Deuteronomy 28). And I DO see huge blessings day in and day out. I believe these blessings have started coming to us, and that we’re in a really fertile time for the manifestation of all these promises. Yet, I haven’t received the total fulfillment. Have you? I still have a mortgage on my house. My husband needs a new vehicle to replace our 2000 Toyota Solara with about 250,000 miles on it–and more repair work is needed on it than the car is worth. I’ve never lent money to another nation, and we have needs just like anyone else. So I’m calling God onto the carpet and contending for Him to fulfill His promises–ALL of them–in my life. I’m not frustrated in a bad way. I’m simply at the point where I recognize that God’s Word promises more than we have–in every area, not just in our finances … and I’m not going to have that be the case anymore. I’m going to have EVERYTHING God has for me. I’m going to accomplish every work He finished for me before the foundation of the world. I’m just not going to settle for less than everything anymore. Well, in order to get to where we see ALL God’s promises manifest, we have to think like God thinks. We have to think like God thinks about spirituality, about money, about relationships, about our calling, and about everything else. “And do not be conformed to this world, but be transformed by the renewing of your mind, that you may prove what is that good and acceptable and perfect will of God” (Romans 12:2). We can walk in the favor and blessing of God right now, without waiting another minute. Is someone trying to scam you right now–or have you been conned in the past? If so, then today’s prayer is for you–a prayer for deliverance from scams, theft, and robbery. Beloved, we have to always be on our guard. It’s simple. The devil wants to kill you. He also wants to steal and destroy everything good you have. BUT, JESUS came that you may have life–and have it more abundantly. Nevertheless, we still have to be watchful. If you don’t have your guard up, the enemy can get you. You’ve got to stay submitted to God, have your armor on, have your shields up, and be prayed-up in order to escape the tricks of the devil. Part of being prayed-up is to pray for deliverance from evil things, the same way we pray that God will bring us good things. 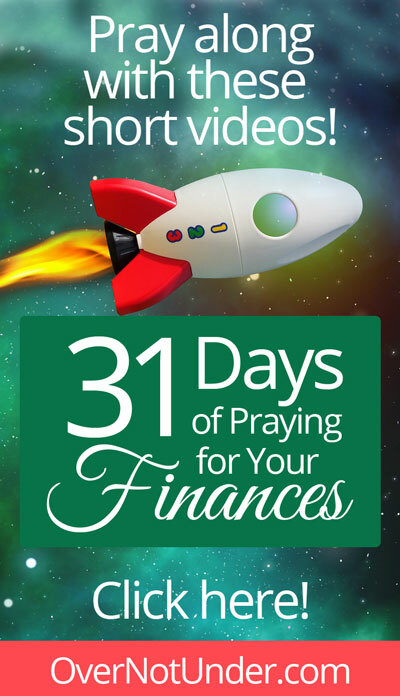 In Matthew 6:13, Jesus said we should ask Father God to “deliver us from the evil one.” So as we’re praying for our finances this month, we’re going to pray for deliverance from the tricks and snares of the enemy. We’re also going to pray that, if the enemy has already scammed or robbed you, God would restore your life. If that’s a prayer you can agree with, then watch the short YouTube video below and pray for yourself for God’s deliverance from scams! Do you need courage to handle your money today? I know that, sometimes, money can feel so intimidating. When you’re faced with getting things in order, then suddenly doing anything else becomes more attractive. Detailing your car, alone, at night, in the dark in your driveway. Installing a new backyard fence. All of these things can be more attractive than getting your finances in order. But you know what? That’s not from the Lord. 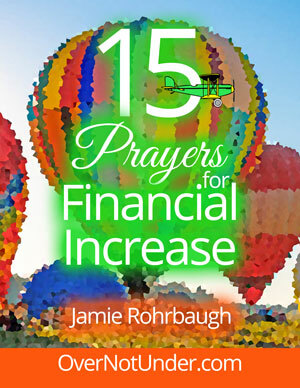 The enemy wants you to feel intimidated because he knows that getting your finances in order will change your life. HE wants to give you COURAGE to handle your money! You have not been given a spirit of fear, but of POWER, love, and a SOUND MIND! Seriously. What would the world look like if you didn’t have to worry about money anymore? Dear friend, do you need some joy and excitement in your life? If so–and if you want to experience one of the biggest thrills you can ever have–then become a giver. I mean become a big giver with a generous heart.